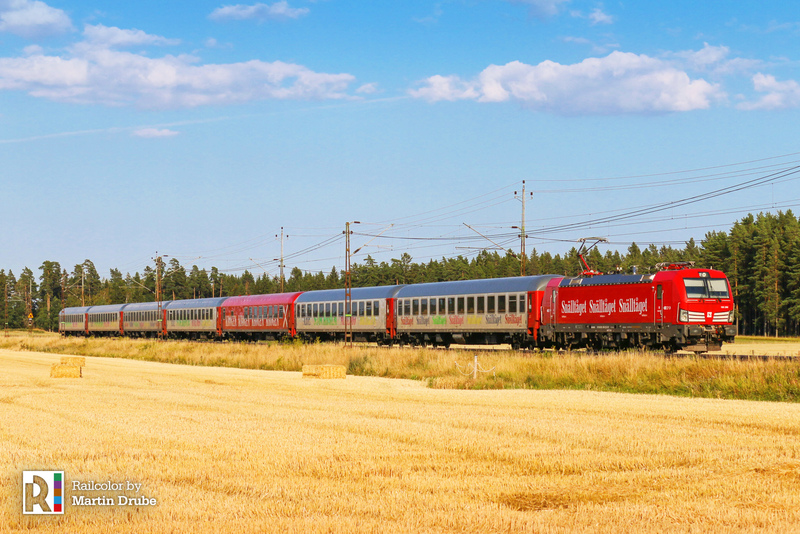 Since 2016, sparkling red Vectrons are working the Snälltåget trains in Sweden. Trandsdev Sverige hired five locomotives from ELL, specially equipped for the nordic countries. The article takes a closer look at them in action. Text and photos by Martin Drube. We thank him for his support. 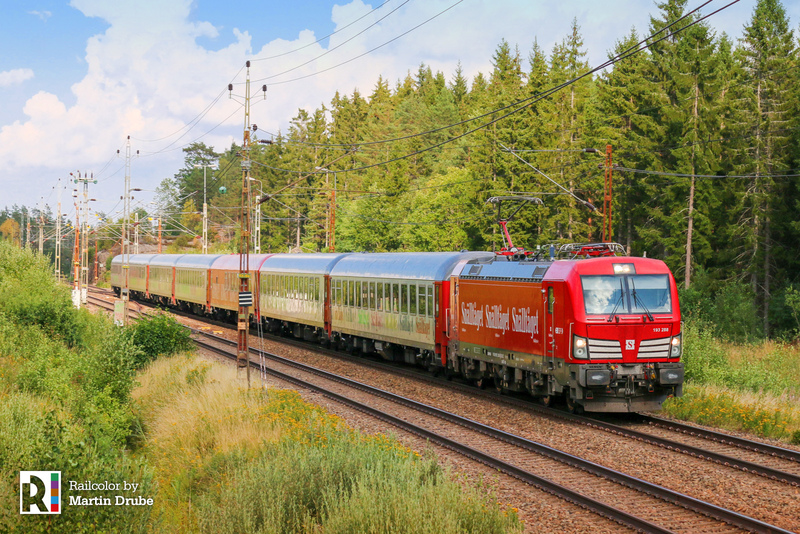 In 2009 Veolia Transport started running passenger train services in Sweden. Nowadays it operates long-distance trains from Malmö to Stockholm and Uppsala (and to Åre in the winter). During the summer, the operator also manages the night train form Malmö to Berlin with a train ferry between Trelleborg to Sassnitz. Since 2013, the long-distance trains were rebranded as ‘Snälltåget’, which in Swedish could be translated both as ‘the express train’ and ‘the nice train’. Initially, Veolia hired Hectorrail drivers and locomotives (series 241 and 242). But at the end of 2016, these were replaced by ELL lease locomotives and the the operator started to recruit its own drivers. Veolia was renamed Trandsdev Sverige in 2015. 91 80 6193 288-8 D-ELL / works number: 22256 / built in 201? Trasdev also decided to acquire new passenger rolling stock: 26,4-meter passenger cars, originally built as series Bm235 for the Deutsche Bundesbahn (DB). In the 00s several of these coaches were sold to the Dutch railways (NS, ICK-stock) and after their withdrawal again sold to hector Rail. In 2016 Trandsdev Sverige bought 19 coaches from Hectrorrail for use on the Snälltågets. The coaches were overhauled and refurbished by S.C. Atelierele CFR Grivita S.A in Bucharest (Romania) before arriving in Sweden. The passenger cars are light grey and red – These sport Snälltåget logo and the names of various destinations written in different colours. Like the locomotives, the restaurant-cars are completely red. They word ‘Krogen’ means ‘tavern’, the Vectrons are called ‘Loket’. The standard long-distance service Malmö – Stockholm calls at Lund, Hässleholm, Alvesta, Nässjö, Linköping and Norrköping. 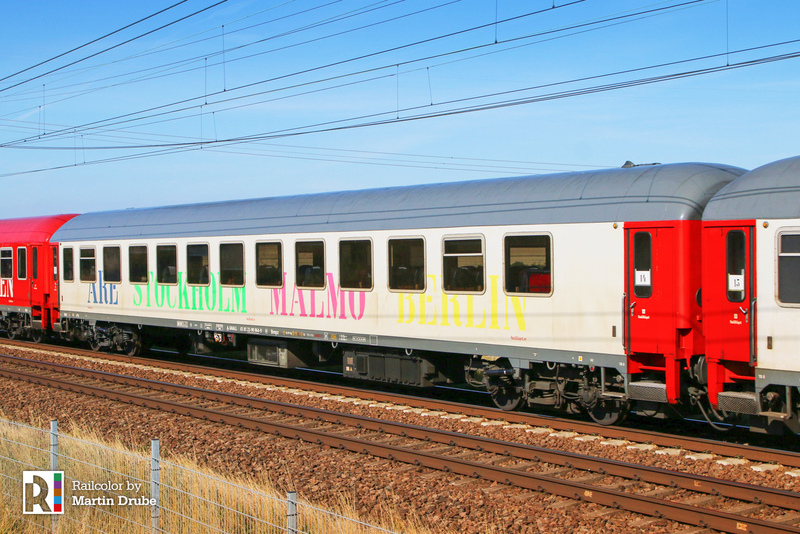 The Malmö – Berlin service only runs during the summer, it runs only a few times in the week. A night train from Stockholm to Malmö is exists, also operated several days per week.